Last night, Chance the Rapper hosted an episode of Saturday Night Live. 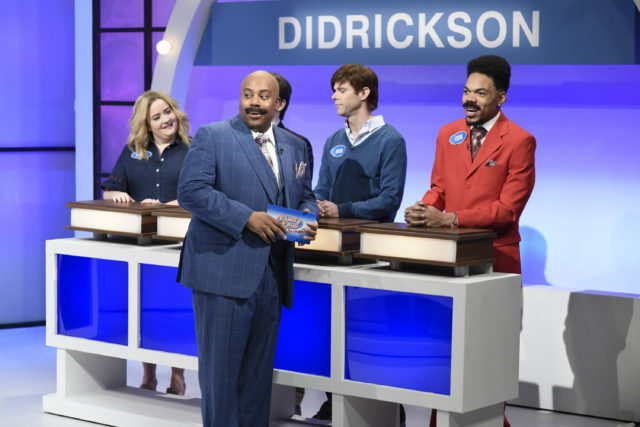 In one sketch, Chance stars in a Family Feud parody led by Kenan Thompson’s Steve Harvey impersonation. During the clip, Chance’s character is revealed to be the long-lost son of Steve Harvey after an affair he had a decade ago with a longtime friend. The clip also featured Chance clowning on a Lil Pump-like rapper in a sketch on the history of hip-hop, as well as a performance by the night’s musical guest Eminem. Watch below.